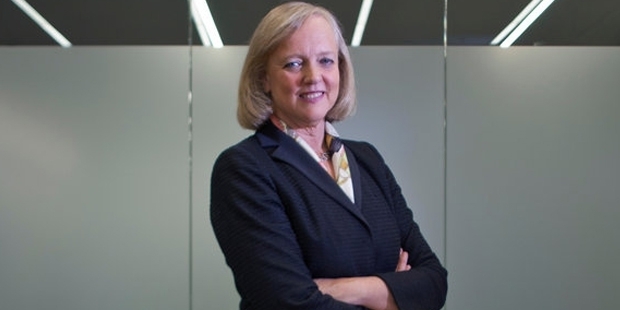 Meg Whitman was born on August 4, 1956 at Cold Spring Harbor, New York. She attended the Cold Spring Harbor High School in her city. When she was a child she dreamed of becoming a doctor. So when after completing school in 1974, she joined Princeton University to study math and science. But soon the entrepreneurship bug bit her and she changed her course midway to pursue BA in Economics. She graduated in 1977 with honors from Princeton after which she got a MBA from Harvard Business School in 1979. After coming out of Harvard, she got a job in Procter & Gamble as a brand manager. After a brief period at her first job, she joined the Bain & Company in San Francisco. Here she showed her talent and hard work which took her to the position of Senior Vice President in just 10 years at the company. In 1989, she moved to the Walt Disney Company where she was given the role of Vice President of Strategic Planning. In 1991, she went ahead to join Stride Rite Corporation. In 1995, she became the CEO of Transworld Delivery company. She was not staying at the same company for very long but was still progressing to the top positions, that too in a very short time. In 1997 she went on to join Hasbro, where she was made the General Manager of the Funskool division. Immediately she made her presence felt by implementing drastic changes that brought immense success to the company. She brought the television show Teletubbies to the U.S. and successfully marketed the Mr. Potato head product. Her biggest success was to come at ebay, where she joined as CEO in the year 1998. When she joined the company it was in its infant stages from where she made it one of the first success stories of the dot-com-bubble and made it one of the highest visited websites in the world today. At the time of her arrival, the website has half a million users and $4 million in revenues. There were only 30 employees working for the company. She started off by setting up an executive committee that helped her organize the company into 23 business categories. From that she had the categories split into more than 30,000 subcategories and assigned each member with management of these categories and pages. As the website became more organized, the customers increased. With Whitman’s managerial skills the company expanded into a $7 billion enterprise with 14,500 employees by the year 2007. She has been one of the most successful CEO’s in the history of the United States. She has sat on the board of directors for companies like Dream Works SKG, Goldman Sachs, Teach For America and Proctor & Gamble. She became the CEO of Hewlett-Packard in September 2011. In 2012, she received $15.1 in salary for her role as CEO of HP Corporation. She is today, one of the top 10 influential women in the world. As of 2013, her net worth stands at $1.8 billion, making her one of the richest self made billionaire women in the world. She has been one of the most influential entrepreneurs of the 21st century.